During the summer months we are all much more aware of the need to keep our hydration levels up and to use SPF moisturisers. However this should not be forgotten during winter, in fact it should be our priority. Cool winter temperatures and low humidity levels, combined with hot showers and soap-based products can pull moisture from the skin. On the surface this can cause skin to look dull, feel tight, dry and itchy. At a microscopic level a lack of moisture and oil weakens your skin’s natural protective barrier, leaving it susceptible to invading chemicals causing redness, irritation and sensitivity. There is a bonus with the change in weather however as it allows us to use key exfoliation and rejuvenation products without the extreme risk of sun damage and photo-ageing. The dull days and earlier nights should not stop the use of an SPF moisturiser however and I would recommend a minimum spf of 15/20 to be used. As you know I’m a huge fan of Dermalogica there are almost as many products in our bathroom as the salon ;). I have worked with many brands such as Espa, Dècelor, Guinot, Elemis to name just a few. 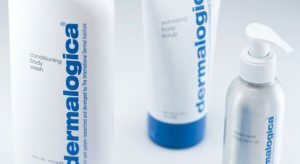 The Dermalogica range is excellent value for money with a large cleanser usually lasting me 12 months and I can honestly say my skin has never been better. So what’s the key? Hydration, Hydration, Hyrdation!! So what do we need to do? In this winter skin care blog I’m going list my top 5 key hydrating products I personally use and also a few products that offer key hydration solutions. Some may be a surprise and you may already have! A refreshing toner that rehydrates with Aloe Vera and Cucumber. Mist over skin after cleansing to reduce tightness, lock in moisture and enhanced absorption of boosters and moisturisers.If you still have a travel size from your skin kit pop it in your handbag or get an atomiser. Multi Active Toner can be spritzed onto your skin ‘over’ makeup throughout the day. A super-fluid that hydrates tissues and plumps parched skin. Hyaluronic Acid found in Skin Hydrating Booster, has the ability to hold 1000 times its weight in water for powerful hydration. It’s additional ingredients aid skin repair and help restore moisture balance for soft skin. I apply 6 to 10 drops directly to skin, under my day moisturiser but especially during the winter months I blend a drop with my eye cream, mix with my masque and I also use with my night cream. This hydrating eye cream targets dehydration and repairs dry skin and lines around the eyes. It combats signs of premature aging and damage, whilst helping increase elasticity and smooth skin texture. Additional vitamins and nutrients will also shield the delicate eye area against further environmental damage. I use this after cleansing and use around a pea size amount. Gently pat around the eye area, blending inward from the outer corner. Can be applied over Extra Firming Booster or Skin Hydrating Booster. Love, love this product! Perfect for mature or prematurely-aging skin. This ultra-replenishing, antioxidant rich masque that helps rescue stressed, aging skin. I once a week after cleansing. It is a revitalizing remedy for dulling, dry, dehydrated, lackluster, photodamaged skin. It’s soothing botanicals help calm stressed skin while vitamins A, C and E help repair damaged, aging skin. It’s formulated without artificial fragrances and colors. For an extra boost before a special occasion I mix this with multivitamin thermofoliant, the results are amazing! Switch out your foaming cleanser for a soothing gel cream instead to replenish lipids and soothe sensitivity. Try dermalogica’s UltraCalming Cleanser. Layer on hydration and reduce tightness by spritzing after cleansing and throughout the day over makeup choose from MultiActive Toner, Antioxidant HydraMist or UltraCalming Mist. 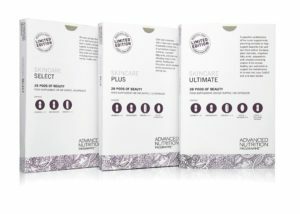 Weekly application of Skin Hydrating Masque is a great product for all skin types with it’s unique cross-linked Hyaluronic Acid traps moisture to deliver time released hydration for lasting suppleness. For sore, red, irritated skin, comfort with a generous application of UltraCalming Serum Concentrate to soothe and calm. Change to a heavier weight moisturizer for more nourishment and protection like Super Rich Repair for day and night. If it’s super cold, try a healing balm like Climate Control on exposed areas like lips, nose and cheekbones for extra protection and healing. If you would like further information or advice on the right skin care regime for you why not book a free Dermalogica Facial Mapping appointment with me it will give you invaluable insight into your skins health and provide you with a personally designed treatment plan addressing your personal skin concerns and goals.